Renowned media critic Mark Simuuwe has been abducted by PF cadres clad in police uniform and his whereabouts remain unknown. 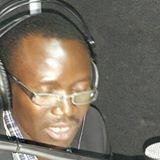 Simuuwe’s ‘arrest’ comes a few hours after he appeared on UNZA radio’s Lusaka Star program with UPND Mbabala constituency MP Ephraim Bbelemu. According to information obtained by the Watchdog, soon after the live radio program Police started looking for Simuuwe but they failed to find him at the radio station. Later he was cornered in Woodlands area upon which he was apprehended and detained to an unknown detention facility. Friends and family members have tried to search for Simuuwe in almost all police stations in Lusaka but have failed to locate him. Under Edgar Lungu’s article 31, police have been given additional powers to apprehend and detain people on mere suspicion of committing crime. Meanwhile during the radio program, Bbelemu disclosed that the state of emergency by PF has had a negative effect on business as people cannot do business to the maximum for fear of unknown arrests. He cried that citizens and foreign investors are finding it difficult to participate in business freely. Bbelemu also criticised government for non release of Constituency Development Funds – CDF by government. He said the inertia was taking away from the law makers and local authorities, the planned projects as the idea not to release funds denies people their privilege to access services from their civic leaders. He also said that it was erroneous for government to gag MPs as witnessed by the speaker’s recent decision where he suspended 48 members of UPND for exercising their democratic rights to protest wrong doings by government.